Cost: Free and open to Duke students. 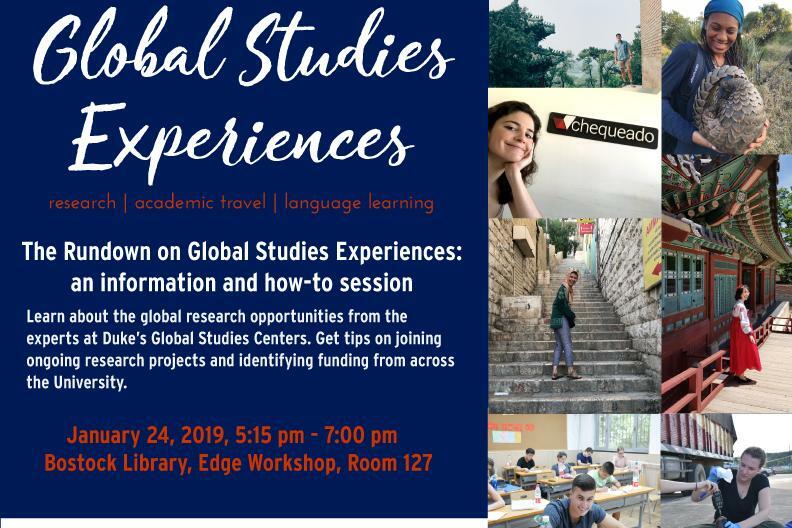 Learn about the global research opportunities from the experts at Duke's Global Studies Centers. Get tips on joining ongoing research projects and identifying funding from across the University.